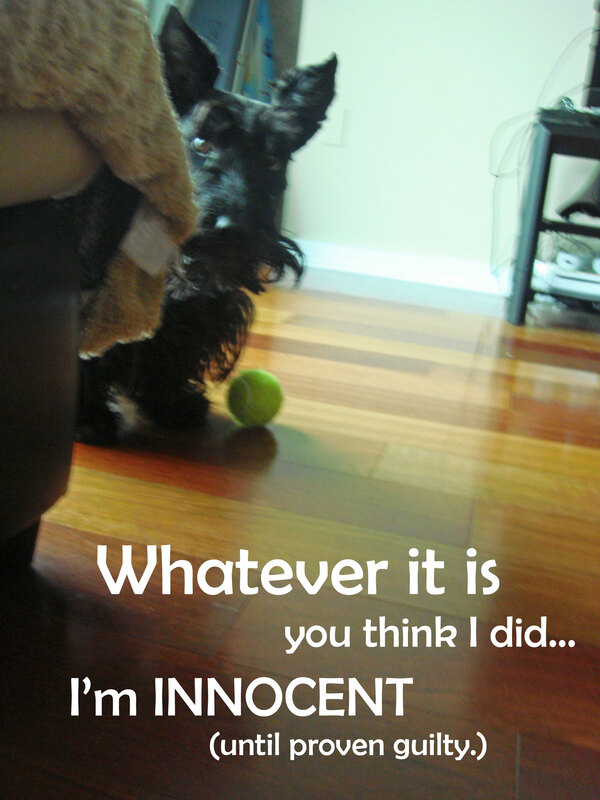 Whether it is a missing shoe, a yellow puddle on the floor or a mess of torn papers across the room, Mr. K reminds his Scottie friends (and other fellow misbehaving pups) to play it cool when your Scottie Mom suspects you are guilty of a Scottie crime. The trick to getting away with something, he says, lies in your ability to look cute as can be, act as if nothing actually happened and you have no idea how whatever it is got there. He cautions against Scottie cams if your Scottie Mom has one and recommends you "take care" of those first before you carry out any plan you may have had. Without that crucial step, you might just get busted...and if that happens, remember: you are innocent until proven guilty (and you can always blame that dark shadow on the cam destroying everything on that Ninja Scottie that's been ransacking houses lately). 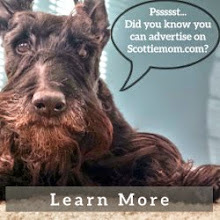 Try as you might, Mr. K, you cannot fool your Scottie Mom! It's difficult to stay upset with the sweetness of the Scottie face!!!! Thanks for the good advice. When Mom asked me if I did somethin bad…. I look confused as her than then get into my "down" position. She just melts. The ninja has a name-Somedoggie. You can always rat on Somedoggie because "Somedoggie did it" is always appropriate. Somedoggie is too busy creating havoc to worry about being ratted out. 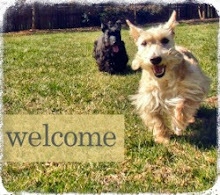 I can't begin to tell you how pleased I am to have "stumbled" onto this blog...I followed a pin and here I am!! YEAH!! I have an Oh So Cute year and a half old Scotty boy named Mac "Dubh" I had never had a dog before and then Dubber came into our lives as a gift from my daughter. It has been an experience but I wouldn't trade one minute of it. Our Dubh is afraid of everything...has been since he was a puppy. It's very hard to take him for walks as he's afraid but we're getting a little better. He now has a sister who is almost 6 months and a Scoodle (mom was a Scottie and dad was a toy poodle)...she's a little tiny girl but she looks just like a scottie...little head and HUGE ears...LOL Any hoooooo.....will be following and hopefully gathering pointers along the way! I'm taking lessons .... so keep them coming!